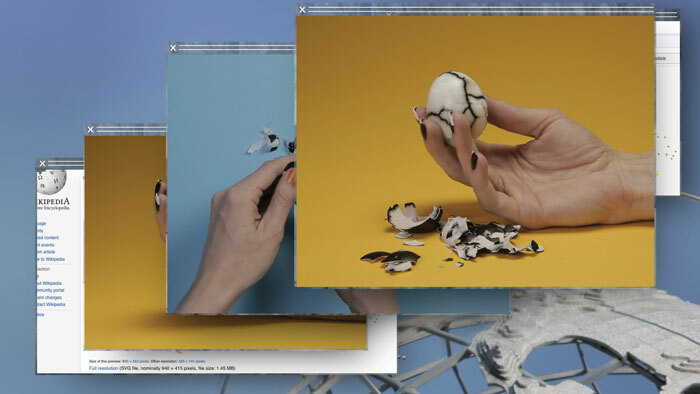 Tender ✚ Loving ✚ Care is centred around a short study of the phenomenon of online dating, chat rooms and the virtual relationships we build via the internet. A re-imagining of the traditional love story plots that run through much opera historically, this project is a glimpse into our characters’ lives, loves and expectations. How are we perceived through a screen, a profile and how does this form our perceptions of authenticity and sexuality? The internet has saturated our lives with endless opportunities, imagery and sound; a saturation we welcome when we attend the opera house. How can parallels be drawn and opera re- imagined to incorporate such a vital element of the modern day? Inspirations have been drawn from the orchestration of Messiaen’s Saint François d’Assise (in particular the percussion), the soundworld of Takemitsu’s Stanza II for Harp and Electronic Tape, and the vocal techniques from Saariaho’s Grammar of Dreams and timbres from L’Aile du Songe. 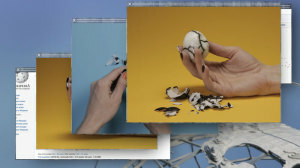 Visually inspired by artist Camille Henrot and her work Grosse, a video installation where the artist challenges herself with telling the on-screen story of the universe’s creation in 13 minutes and Gillian Wearing’s film Self-Made, the ‘stage’ will be the imaginary T✚L✚C Online Dating Website. 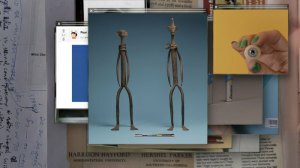 The Homepage Overture plays subtly in the background; a mixture of instrumental thematic and electronic material that underlies the entire project and later evolves into the musical score. We see an online dating profile to the left of the screen. The scene is set and it is here we are presented with 6 ‘matches/interests’ for our invisible protagonist. Using split screen partitions as each character is opened up we see a new window, another scene change and hear another thematic element. Plot twists will be revealed in hints and clues embedded within the libretto and performance. A sense of ‘realtime’ and documentary is implied as the opera is filmed via webcam and live screen recordings. Each character has their own story to tell and with each click, these are performed to the invisible protagonist. The more these windows are opened, the further the plot is revealed and we discover relationships between behaviour, characters and our own expectations. As each site visitor encounters the T✚L✚C website they will be instructed to provide details such as their name, gender, hobbies, job etc. to fill in blanks purposely left unfinished in the main profile. This interaction and confrontation absorbs each audience member into their own private performance; they are the invisible protagonist of the opera. Each individual is engaged as both the conductor and choreographer of the opera. As he/she browses this online opera, not one performance will be experienced in the same way. Allusions made to the protagonist in the libretto will conjure slightly different emotions, humour and perhaps dark truths depending on who they are and their chosen profile details. Each character will be carefully moulded from research and interviews in a search for authenticity as well as plot and entertainment. The interactive and aleatoric elements of this proposal challenge the structural form of opera. However character and expression, although re-imagined, remain the significant foundations of this project; pillars of both opera and the success of social media. The relationship between the audience and performance is made more intimate by removing the fourth wall of traditional stage settings but opens up questions of how we engage one another via social media – a virtual fourth wall? Drawing from earlier operatic verismo traditions and theatrical naturalism, the spectacle of T✚L✚C is not a Romantic one. It is our internalized response towards this combination of virtual interaction, on-screen performance and the display of opera.